Have a qualified professional elevate the furnace, water heater and electric panel if susceptible to flooding. Do not walk through moving water- even six inches of moving water can make you fall. Avoid floodwaters- water may be contaminated by oil, gasoline or raw sewage. Water may also be electrically charged. Should your home or business be affected by the recent significant rain fall or flooding....Call SERVPRO of Brookhaven, McComb & Columbia. We are always here to help! 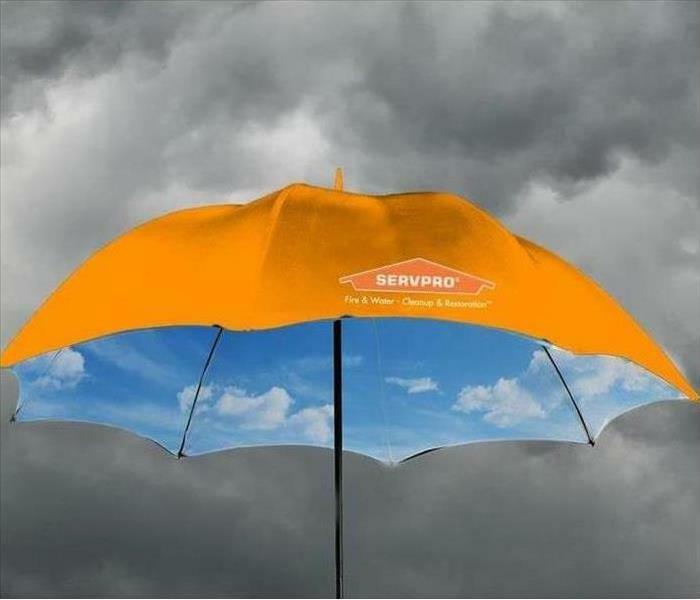 April showers may bring May showers, but SERVPRO wants to be sure you have the tips to be prepared for the spring storms ahead. This is true, but unfortunately showers can also bring severe weather threats such as hail, high winds, tornadoes and lightning. According to the National Weather Service, thunderstorms cause more than $1 billion in property damage each year. Without proper home preparation and maintenance upkeep, the damage could be very costly if severe weather came through. In Mississippi, the weather changes one day to the next. Below are some helpful tips to prevent spring storms from damaging your home. 1. Clean the gutters. Cleaning out any leaves or debris that may have accumulated in the gutters will help prevent water damage. Check to make sure the downspout directs water away from the foundation, and add extensions if necessary to keep the water away from your house. It’s also a good plan to install gutter guards. These will protect your gutters from clogging and ensure that water does not accumulate on the roof. 2. Maintain roof maintenance. Replace roof shingles that are cracked or loose. This will help prevent damage from roof leaks. 3. Check the caulking. It is important to check caulking for decay around doors, windows, corner boards, and joints, and re-caulk where needed. Be sure the seals are tight to improve insulation and prevent water damage. 4. Look around the yard. Trim your trees and remove dead or loose branches to prevent them from becoming projectiles during a storm. 5. Prepare your patio before a storm. When a storm is approaching, be sure to move all patio furniture, trash cans and any other loose outside items to your shed or garage – these could become flying projectiles. Did a disaster occur and SERVPRO of Brookhaven, McComb & Columbia truly make it "Like it never even happened." ?? Were we nice on the phone and fulfilled our promises we made? Or are their some concerns you would like us to know about, so we can take care of them? Leaving us a your feedback on any of our three websites is one of the best communications we have with our customers. It helps us determine what steps we need to make to improve our services. Not only does it help us better our work, but it also gives us encouragement and motivation for the next jobs. We love nothing more than our happy customers. 1.) We can address each customer based on their review/rating, allowing effective communication where we can resolve any misunderstandings. Don't be left in the dark! Speak out! 2.) If we made you truly satisfied, your voice carries. Recommend us to your friends! 3.) This is a tool that always helps us. Positive feedback helps our technicians know they are doing something right. SERVPRO is so incredibly grateful for each positive voice. We truly love reading the uplifting things you have to say about SERVPRO of Brookhaven, McComb & Columbia. Thank you. 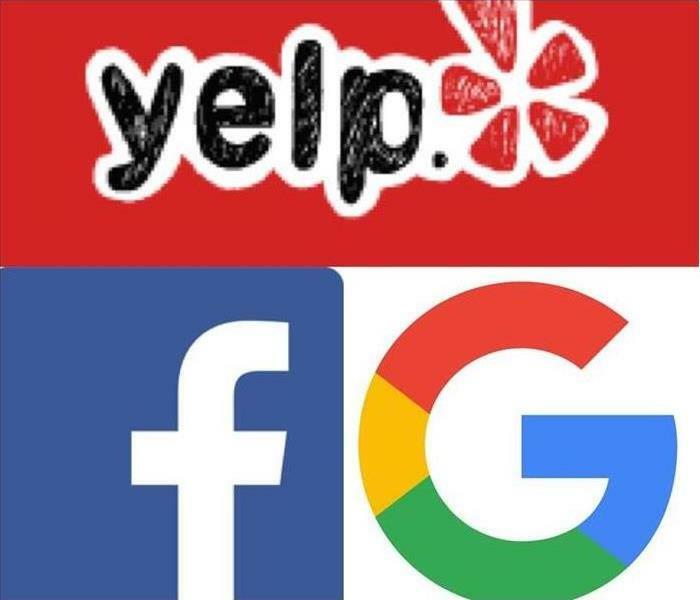 Reviews & Ratings are your way of speaking out. So PLEASE, if you've used our services before, don't hesitate to give us your feedback on the links below. Thank you. During this time of year in Mississippi we can experience a lot of rain, which can lead to thunderstorms. It’s important to be prepared and have a plan in place. Talk with your family and create an emergency plan for thunderstorms, floods, and tornadoes. It would be beneficiary to think about an emergency shelter and evacuation plan. Below, we have a few suggestions to make sure you and your family are ready for whatever happens. Consider putting together a kit of things you may want to have on hand during a storm. Items you may want to include would be water, non-perishable food, flashlights, blankets extra batteries, a radio, and a first aid kit. If you have an emergency does strike your home during a thunderstorm, SERVPRO of Brookhaven, McComb & Columbia is ready to help get your life back to normal. After a water emergency that floods a home or business, the last thing that most people want to deal with is a bill for cleaning up the damage. This is what leads many homeowners to attempt water extraction on their own instead of calling a professional. If you're in need of water removal in the Brookhaven, McComb or Columbia area, you may be tempted to save money by trying to get rid of the excess water on your own. However, going this route typically has more consequences than benefits and will result in greater losses of time, money, and your possessions in the long run. Professional Do It the Best. While some homeowners resort to opening windows and doors, turning on ceiling fans, and blotting towels around the house, SERVPRO has powerful equipment that ensures efficient and thorough water removal. We're also often able to restore documents, books, furnishings, and electronic devices affected by water damage, plus we'll get your home's humidity back to an appropriate level. Many Water Emergencies are Hazardous. If your house has been flooded with gray or black water, such as that from a natural disaster, backed up sewer line, or a leaky toilet, an expert's attention is the best. These types of water are risky for untrained persons to handle because it involves disease causing waste and debris. This is the type of material that can't simply be put out with the week's garbage and needs proper and safe disposal. We're knowledgeable about how to get rid of contaminated waste during water extraction, so there are no lingering health risks to your family or pets. Did You Even Consider Mold or Mildew. One reason that so many homeowners who attempt DIY water removal eventually end up calling a pro is unseen damage caused by mold and mildew. While your flooring and possessions may look and feel dry, without proper water extraction and controlling humidity, mold and mildew will thrive, cause foul odors, and ruin your home's structure along with your possessions and furniture. SERVPRO technicians are trained at protecting against the growth of mold and mildew and have effective strategies to combat it. At SERVPRO of Brookhaven, McComb & Columbia, we know how important it is to get your home back in order as quickly as possible. We'll help you mitigate the costs of any water emergency by restoring your possessions and preventing future damage to your home. For more information about our water removal services or to receive a quote, call us at (601) 823-1100. Yikes! 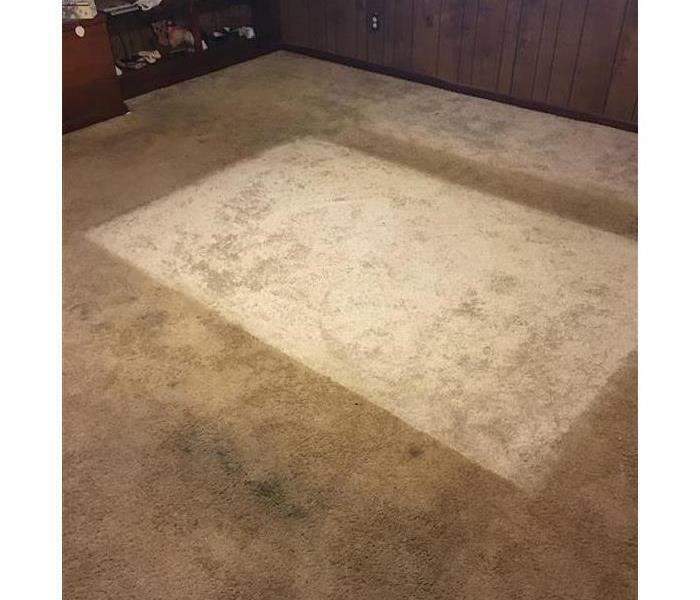 Do you really know what your carpet looks like? Don't get used to filth, call SERVPRO! When investing in a nice carpet, you want it to last. After while, even the nicest carpets begin to soil. We want to help you protect your investment. Professional cleaning can address moderate and heavy soil conditions in your carpets. How often will I need professional cleaning? Depends on soil build-up, traffic, type and color of carpeting. A good rule of thumb would be to professionally clean your carpet every 12 months. Clean carpets before they become totally saturated with soil. If you wait until carpets look really dirty, the carpets may never be restored to their former appearance. Dirt builds up in layers, and when a carpet looks dirty you are only seeing the dirt at the tips of the fibers. More dirt is hiding below the surface down near the base of the pile, causing damage to the carpet. When a carpet is saturated with dirt, the soil has penetrated crevices and has become firmly lodged. SERVPRO of Brookhaven, McComb & Columbia will get the job done right. For a cleaning backed by state-of-the-art equipment, we have experienced Professionals trained to the highest standards to handle carpet and upholstery cleaning from New Hebron, MS to Osyka, Ms and Columbia, MS to McCall Creek, MS and all areas in between. SERVPRO has not only the professional products but also the eye for detail to restore your fire damage content. Smoke and soot affects not only the structure of your house but also your belongings. 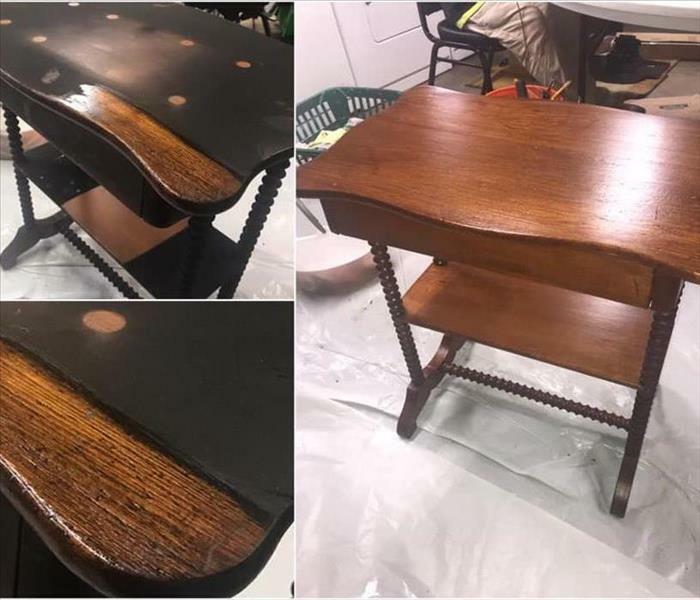 SERVPRO of Brookhaven, McComb & Columbia understands your family’s furniture, clothing, keepsakes, and other belongings are the very things that make a house a home. SERVPRO Franchise Professionals specialize in restoring contents damaged by water, fire, or mold. Their expertise and “restore” versus “replace” mentality can help you save money while preserving precious keepsakes that can’t be replaced. They pretest your belongings to determine what items they can restore to pre-fire condition. Fire-damaged electronics can present a serious hazard. Do not attempt to turn on or operate any electrical device that you suspect has been damaged by fire. Smoke residues can contain acids that corrode metal surfaces. If the residues are not removed, corrosion causes electronic failure in the device. When your valuable documents, including photographs, are damaged by water or fire, extreme caution should be taken to help ensure the fire damage does not destroy the document. Although some documents may not be restored to pre-fire damage condition, SERVPRO Franchise Professionals can save a great deal and help minimize additional damage. Learn more about our document restoration services. Preparation is the Key. There is no homeowner that can be too prepared, especially those who purchase new homes. It is so important to pay attention to new homes these days, because even the slightest problems give water access to unprotected materials used during construction. SERVPRO of Brookhaven, McComb & Columbia can get confused for just a carpet cleaning service, but we are so much more. We offer a variety of services to help dry your entire home, including crawl spaces and other hard to reach areas. Depending on the foundation of your home, more than likely when you open your crawl space access, you'll find a dirt floor underneath. You may also find puddles of standing water, bugs, rodents, and little to no ventilation. At SERVPRO, we can provide you with crawl space encapsulation services. Our professional services involve the use of recent technology to separate the crawl space from the ground using a high-quality vapor barrier; this creates an additional layer that protects your home from outdoor elements. Our highly trained technicians perform a full inspection to determine the state of your crawl space before doing anything else. This involves locating and repairing any possible water problems that exist, along with cleaning, mold, and pest remediation services before encapsulating, to help avoid leaving vermin or fungi behind that can destroy the seal around the barrier we create. SERVPRO of Brookhaven, McComb & Columbia can fully encapsulate your crawl space and install high-quality dehumidifiers to help regulate the temperature that exists, this often reduces foundation cracks, interior drywall cracks, developing uneven floors and produces great results your family can enjoy. Contact SERVPRO of Brookhaven, McComb & Columbia for additional information or to obtain the services you need today. While a blocked sewer drain is relatively common in commercial properties, legitimate concerns over sewer line functionality may be few and far between. However, when major sewer line issues occur, it is essential to remedy the problems quickly to avoid potential backups and structural damage. Be aware of these four signs, which may indicate sewer line problems. 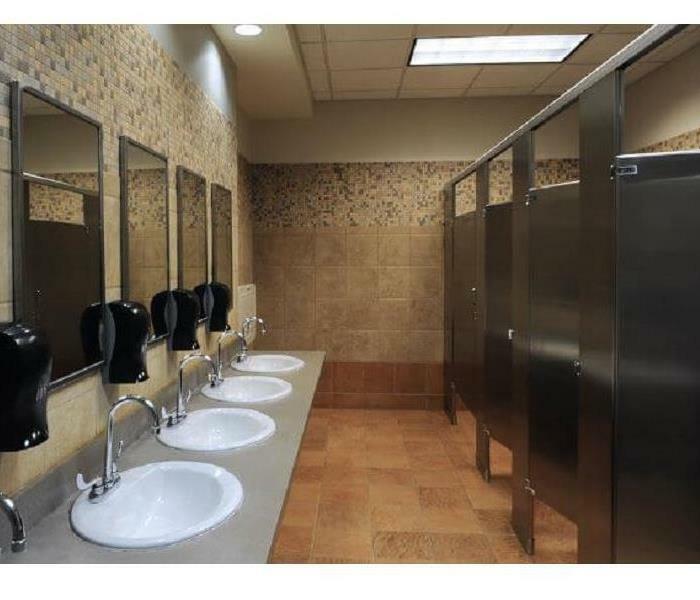 While drain or toilet overflow are frequent problems in commercial properties, you should pay attention to odors surrounding these problems. For instance, if after clearing a clog you smell sewer gas, you may want to call a plumber for an inspection, as strong sewer smells can be an indicator of issues further in the line. A blocked sewer will not only cause unpleasant odors to occur in your building, but the blocked pipe can also cause frequent clogging of your drains and toilets. This problem may also cause sewer backups into your facility. Also, while you may not have any clogging issues, it is still possible that your sewer lines have failed. Pipe breaks may cause indentations in your landscaping, like divots in the lawn. If the break is severe enough, it is possible that sewage is leaking into the grounds of your property. Eventually, this can also lead to a sewage backup in your building. In addition to indentations in the lawn, you may notice perpetual puddling in certain areas. You may also see that areas of your parking lot have sunken or cracked along with sidewalks. Depending on how close the break is to your building, you may even notice cracks in the foundation. These issues often require the expertise of a disaster restoration specialist, like SERVPRO, to resolve, which depending on your insurance policy may be covered. A blocked sewer line can wreak havoc on a business and may even lead to significant business interruption. You should be aware of the warning signs of such a problem so that you can resolve the issue as early as possible. 3/19/2019 - How Was Your Experience?